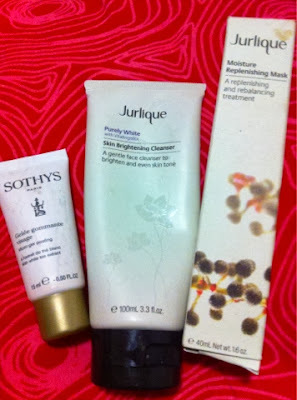 Ever since I settled back in Sydney for the time being, I haven't had the time to sit down and do much pampering for my face, especially with the exfoliating bit. 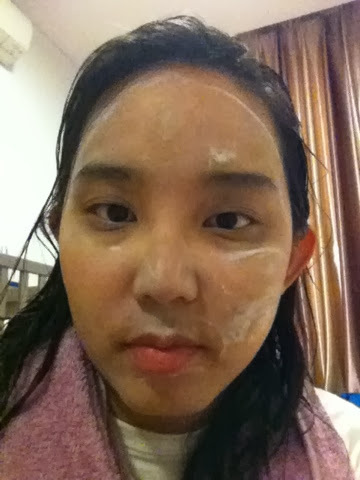 Tonight I took out my Sothys travel size micro gel peeling,and did some light exfoliating on my face. This was followed by using the Purely White Skin Whitening Cleanser. 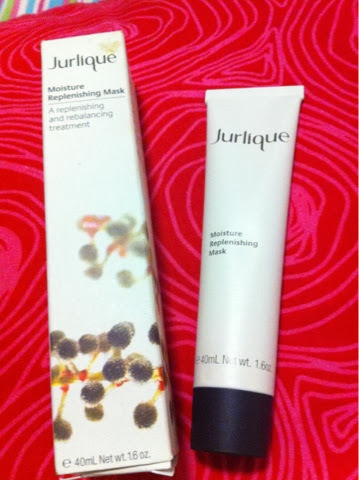 The highlight of the night was the Jurlique Moisture Replenishing Mask. 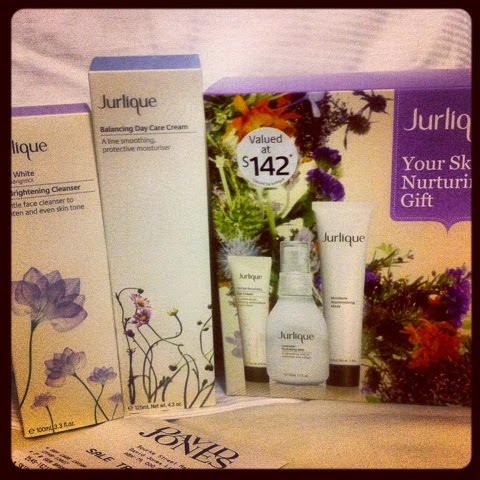 This was the one that came from my Jurlique purchases recently in September when I was in Melbourne. I have to say that it contains a strong citrusy smell like a lemon as was very strong even for my nose. 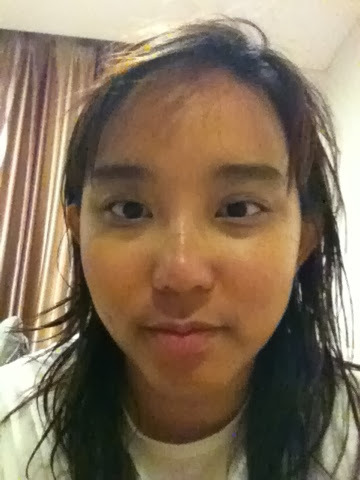 This is how I look after cleansing. I sprayed some Jurlique Lavender Hydrating Mist, some Jurlique herbal eye cream, and finally a layer of the Jurlique Balancing Day Care Cream.